AirPlay 2 is now available on Sonos, allowing audio from any iOS app to be streamed directly to Sonos sound systems. With AirPlay 2, users can play music and podcasts from iOS devices directly to Sonos speakers including Sonos Beam, Sonos One, PlayBase and the second generation Play:5. Non-AirPlay compatible speakers like the Playbar or Play:1 can also utilise AirPlay 2, provided that they’re grouped with one of the AirPlay friendly devices in the Sonos app. 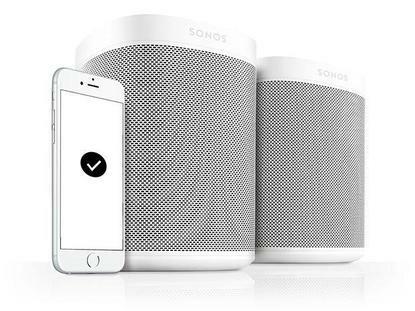 AirPlay 2 users can instantly stream audio from any AirPlay-compatible iOS app to Sonos. This includes services such as Apple Music, Spotify, Audible and Pandora. AirPlay also allows users to watch videos on apps like YouTube, Hulu, Netflix and more with the audio playing through Sonos. Those using AirPlay 2 will also be able to use Siri to control Apple Music on Sonos. Sonos customers can start using AirPlay 2 now with a free software update.